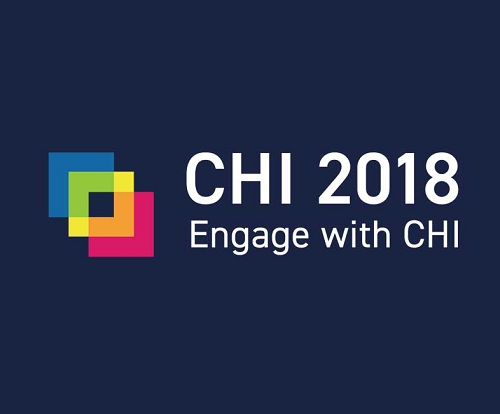 KUAR (Koç University Arçelik Research Center for Creative Industries) has realized yet another outstanding achievement with the acceptance of two full papers and one best paper at CHI 2018 conference. The ACM CHI Conference on Human Factors in Computing Systems is the premier international conference of Human-Computer Interaction. This conference stands at the first place in Google Scholar Metrics on Human-Computer Interaction area with h5-index:83, h5-median:122 and acceptance rate: %23. The same success is only achieved by the other outstanding institutes as MIT, Carnegie Mellon, IBM and Microsoft Research Center. This sustained success is achieved by our three years old experienced center. We are the only institute from Turkey that is recognized by ‘Academic Job Market’ and with this recognition there are scholars in our jury from CMU and KAIST. This result once again underscores the extraordinary efforts of our students. We congratulate Elif Baykal (Advisors: Evren Yantaç and Tilbe Göksun) and Post-doctorate Oğuz T. Buruk (Advisor: Oğuzhan Özcan) and wish the continuation of their successful studies. We are truly proud of all them.